An Angel under the gourd vines. 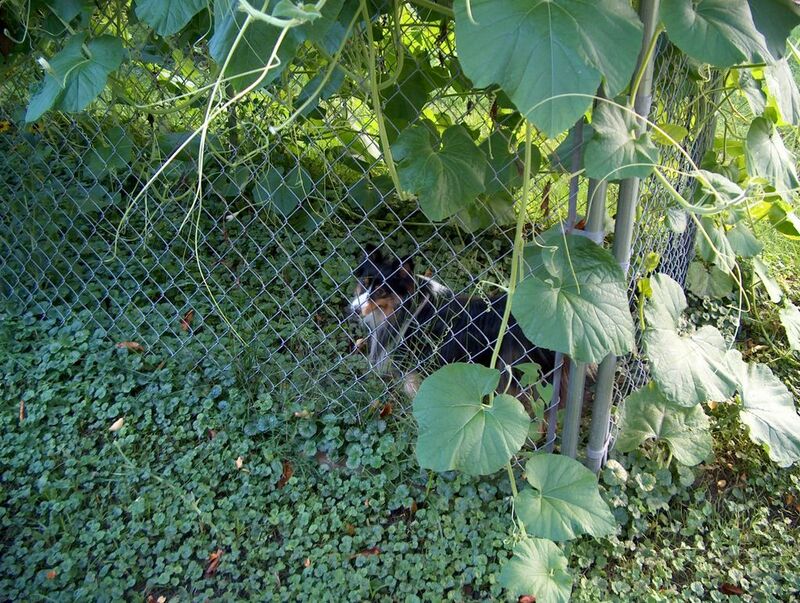 That's her dog run that I planted the gourds onto. 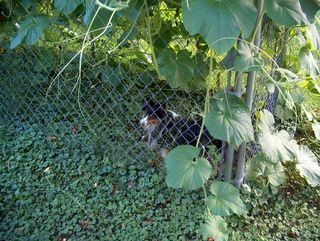 There's even Sunflowers growing in her run, yet she doesn't seem to bother them much.